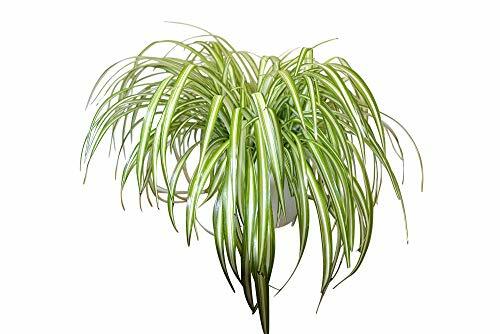 Spider plants (Chlorophytum comosum) are reliable, companionable and easy to keep plants. Popular in the 70s and 80s, they are now seeing a well deserved revival. They’re quick growing, putting out wiry stems in the spring and summer which have small white flowers. Spider plants self propagate, producing baby plantlets that are easy to repot and grow on creating a whole new generation of spider plants for friends and family. Known for their air cleaning properties these plants do well even in poorly lit rooms. They can help to reduce air pollution so try putting one near a computer. 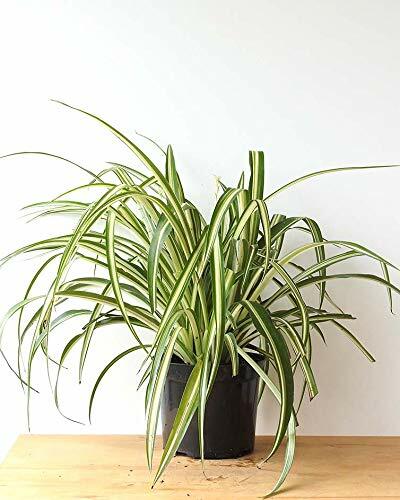 Spider plants are tolerant of neglect and erratic watering but respond to care with a weekly feed of something like Baby Bio added to their water. The occasional use of rain water helps too. They will grow in most positions, however if sat on a sunny windowsill the leaves may turn brown at the edges as they get scorched by the sun. So a spot where they get light but not in direct sunlight will suit them beautifully. Ideal to put in a hanging basket so the stems can cascade down, you can re-pot occasionally with any general compost. Spider plants also add a seventies retro feel to a room when hung in a macramé plant holders. You can be creative with string and beads and make something individual and fun. They also make good presents. Hi, I foolishly left my baby spider plants outside and they got burnt badly in the sun. Brought them indoors, watered madly. Ive cut off the burnt bits. Will they ever recover? Growth previously was very slow despite being in new compost in pots. Any help would be appreciated. Thanks.